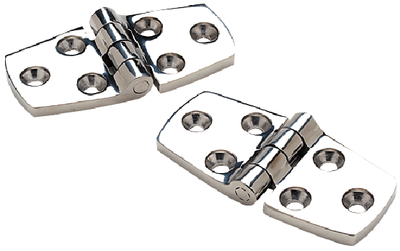 Made of heavy-duty cast 316 stainless steel. Drilled and counter sunk. 2 per card.